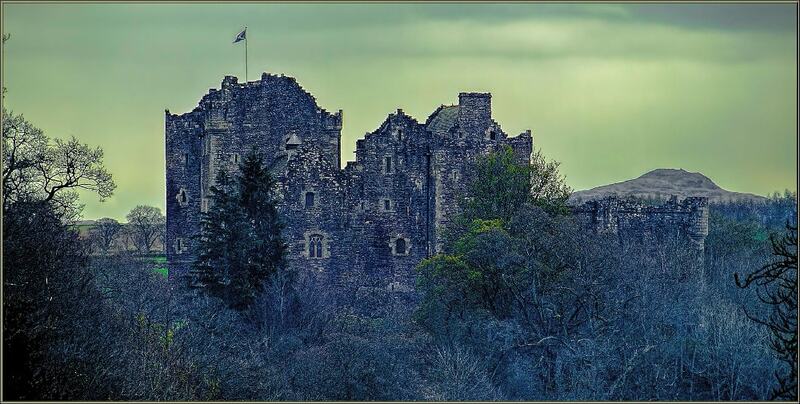 Doune Castle is a medieval stronghold near the village of Doune, in the Stirling district of central Scotland. The castle is sited on a wooded bend where the Ardoch Burn flows into the River Teith. 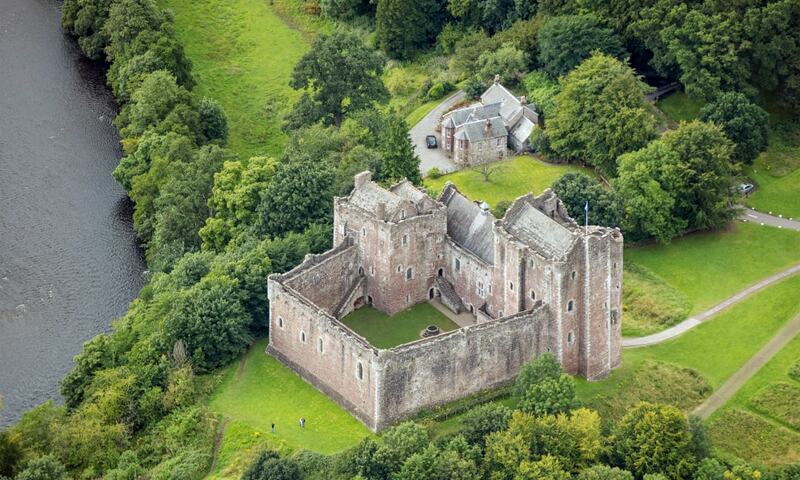 Recent research has shown that Doune Castle was originally built in the thirteenth century, then probably damaged in the Scottish Wars of Independence, before being rebuilt in its present form in the late 14th century by Robert Stewart, Duke of Albany (c.1340-1420), the son of King Robert II of Scotland, and Regent of Scotland from 1388 until his death. Duke Robert's stronghold has survived relatively unchanged and complete, and the whole castle was traditionally thought of as the result of a single period of construction at this time.